I will be heading to Singapore on a 5 day visit this week. This visit is on invitation from Singapore Tourism Board and Tigerair. 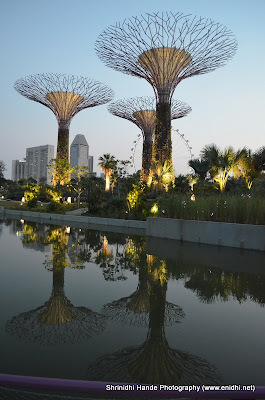 This will be my third visit to Singapore, after two previous visits in June-July 2012. Those visits were on work and I did manage to explore a bit during early morning/late evening or during weekends. 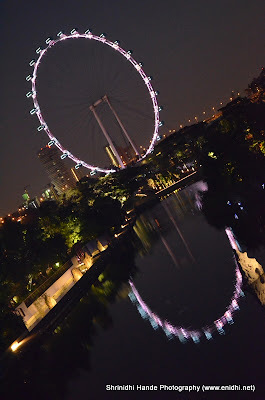 I have already written about Gardens by the Bay, Labrador Nature Reserve, Reverse Bungee at Clarke Quay, Views from Marina Bay Sands Observation deck, Cable car ride experience and so on. You can read all my Singapore posts here. In this visit, I look forward to checking out some attractions that I didn’t have time to checkout during previous visits- I have seen Singapore flyer from various angles, but didn't have time to enjoy a ride, I have been to Sentosa but haven't gone inside Universal Studios (it opens little later- 10AM and costs extra ticket money), I have been to Gardens by the Bay but couldn't go inside the observatories, as they open little later at 9 AM. We have a packed itinerary for four days, which covers above attractions and many more places of interest/activities. I have a free day on Sunday which am determined to optimize and explore as much as possible. If possible I want to check out the status of proposed upcoming attractions (that were told to me in a STB press meet last year) such as Giant Panda forest, Bay East and Bay Central etc. Even Changi airport has added several new attractions in past 3 years, such as Social Tree on Terminal 1 (where Kinetic Rain is also there), Enchanted garden at Terminal 2 etc. Our itinenary includes a visit to Tiong Bahru neighborhood, Singapore's first housing estate, activities at Sentosa, Gardens by the Bay, China town, Little India, visit to upcoming National Art Gallery and much more. So much to see, so little time. Singapore is a small country but with many wonders. It has lots of attractions to keep tourists engaged for weeks. Not to mention Changi airport alone can keep you busy for days, with lots of gardens, Kinetic rain, Swimming pool, roof top open gardens and so on. Singapore is currently celebrating its Golden Jubilee and there're many offers and discounts for tourists. Do check out YourSingapore site for details. Indians are the fourth highest spenders in Singapore. Tigerair are the co-sponsors for our trip. Tigerair offers some of the cheapest flights to Singapore and also connects to several destinations in Asia via Singapore. I have already booked a Tigerair ticket between Sydney and Melbourne for 2016, have written about the Tigerair experience separately. Looking forward to experiencing Tigerair to Singapore next week. Thanks to good folks at MSLGroup for coordinating all the pre-trip activities and AmEX folks for processing visa paperwork. This trip is my first international flight this year and first one on the renewed passport. Wish me many more. Noted social media experts- NIvedith G and Hrish Thota will be giving me company during this FAM trip. I am looking forward to explore Singapore with them. Meanwhile, with heavy heart I had to decline an opportunity to be part of Blog Adda, Renault Lodgy drive in Goa, which was clashing with this trip. I wish these two events were on different weekends, so that I could attend both. Best wishes to the Lodgy event. Stay tuned to my twitter handle @enidhi or facebook page for live tweets. Will try to blog a few things during the trip, time and situation permitting. Your blogs are amazing reads. I enjoyed reading each one of them; they are very much informative as well. Also, I would like to invite you to read mine on http://blog.antilogvacations.com/. It would be a pleasure to know your opinion on the same. Thanks! Useful and pretty post - loved the photos too. Have a good time. All the best for the trip and many more. One the Asia's most disciplined country I have seen. Enjoy your trip. Looking forward for a fabulous post on the trip. Thanks Kishire sir. I will try my best not to disappoint you. Enjoy your trip Shrinidhi, looking forward for your posts..
Wow! Sounds great. Have fun.